President was speaking at the inaugural function of ' The Constitution Day ' celebrations. "Dr Ambedkar and his colleagues in the Constituent Assembly were remarkably large-hearted and generous in their approach. They allowed for flexibility in amending the Constitution and were accommodative of various streams of thought. They trusted the wisdom of future generations to expand the frontiers of freedom and liberty, justice and fraternity, fairness and equality. They trusted future generations to not just amend the Constitution, but to constructively re-imagine and reinterpret it". He said. He advanced that though the Legislature, the Executive and the Judiciary have legitimate roles and critical responsibilities to fulfill the constitutional hopes, it is the People of India who are the ultimate custodian of the Constitution, in whom the sovereignty vests and in whose name the Constitution has been adopted. “The Constitution empowers the citizen, but the citizen too empowers the Constitution – by following it, by adhering to it, by protecting it, and by persevering to make it more meaningful with words and deeds. The Constitution is nobody’s preserve – and it is everybody’s preserve", he articulated. “‘Perhaps the most moving word in the Constitution is “justice”. “Justice” is a single word. “Justice” is a complex and liberating expression. And “justice” is both the means and the goal of our constitutional and nation-building process. Justice is served when justice is accessible, affordable and quickly available to all citizens, irrespective of background.But justice must also be seen in a wider context – in terms of society’s evolution and its changing beliefs, lifestyles and technologies", he continued. "If I could use a term with which the younger generation may be familiar, the Preamble is the source code of the Constitution.In the Preamble, justice is not seen as unidimensional. It is viewed as having implications across political, economic and social spheres. Political justice implies the equal participation of all adults in the political process and just laws". The President was of the opinion that technology has a “tantalizing influence” on justice, that technology is an enhancer of justice as well as a challenge, that it is a subset of economic justice. 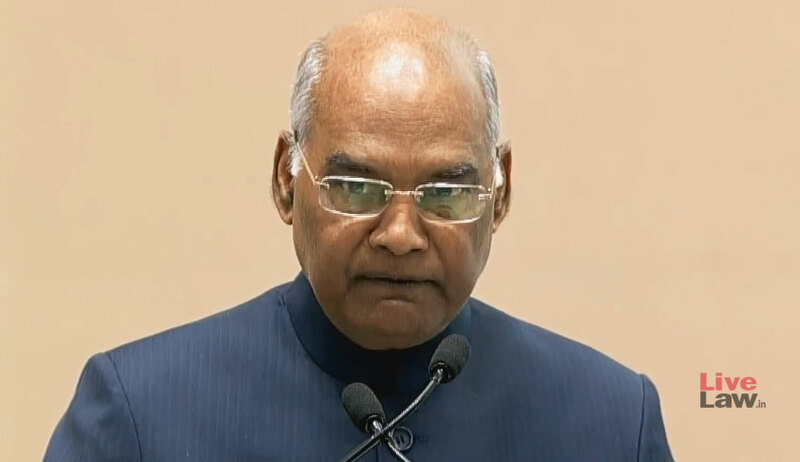 Iterating that “Justice has as many stakeholders as India has citizens”, President Kovind urged that it become the national mission, in collaboration with the media and the social media, to strive to improve the awareness about the Constitution and the rights and responsibilities it embodies. “It is a paradox that our citizens, in whose name the Constitution was adopted, are sometimes not sufficiently informed about what the Constitution means for us. November 26, 2019, would mark the 70th anniversary of the adoption of the Constitution. Let us make the coming year worth this anniversary by giving the constitutional ethic a greater salience in all our thinking and all our action ", He concluded.